Fed up of how perfect SL can look? We got the solution for you! 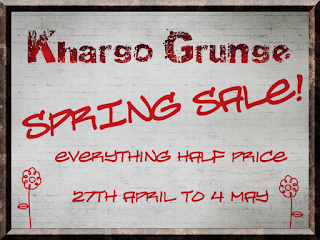 Khargo Grunge specializes in the sort of furniture you'd find in a garage, basement or just some grungy back alley. Our high quality furniture and a skybox are menu driven for texture (textures included in the menu), tint, brightness, glow, shininess and pose change. 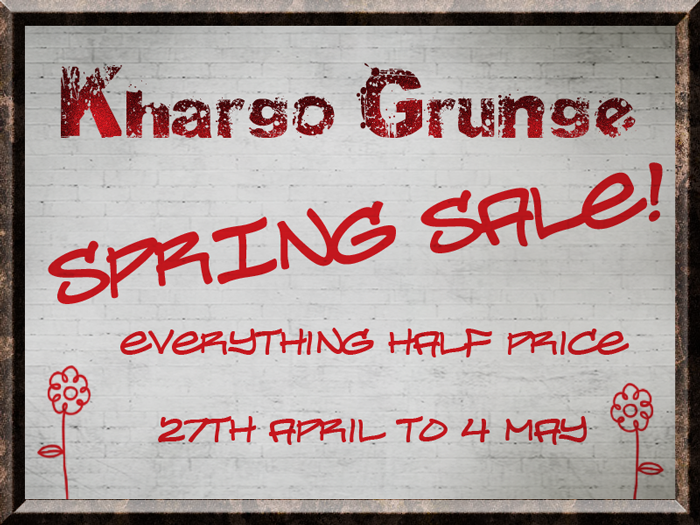 Our 50% OFF Spring Sale runs from 27th April till 4th May so TP over to Khargo Grunge and rummage through the bargains.